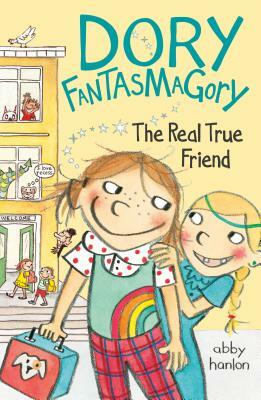 Fans of Junie B. Jones and Ivy and Bean will love this new story about the spunky little rascal with big ideas. The star of Dory Fantasmagory is heading to school. Her older siblings, Luke and Violet, warn her to leave her imaginary friend, Mary, at home—or better yet, leave her whole imagination at home! Dory is determined to behave like a “regular old girl who never gets in trouble,” but on her very first day she meets a new friend, a girl whose imagination and style are just about as wild as her own. Now she just has to convince her siblings that she’s not making it all up! Filled with plenty of funny pictures, this book bursts with charm and impudence, making this a must-read for the chapter book set. Abby Hanlon has taught creative writing and first grade. She lives in Brooklyn, New York, with her husband and two children.